Want to know how to get out of debt UK style? Then you’ve come to the right place. 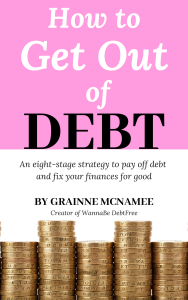 My first eBook, How to Get Out of Debt, is now available for purchase. I’m so excited to pass on everything I know on this subject to my readers. When I first started paying off debt, I realised that there were few resources for those based in the UK. The USA boasts a wealth of advice from Dave Ramsey, Rachel Cruz, Chris Hogan and so many other others. In the UK, we have Martin Lewis. However, Martin’s expertise lies with being financially savvy rather than getting out of debt specifically. So I found myself developing my own strategy, a mixture of mental techniques and practical steps. Using these, I paid off the full £16,000 that I owed in one year. Now I’ve turned this strategy into a book for others to follow. What is covered in How to Get Out of Debt? This book will take you through everything you need to complete your debt payoff and fix your finances for good. Your debt payoff starts with getting into the right money mindset, harnessing motivation and addressing toxic behaviour. Then, you move on to taking practical action. You’ll compile a debt list and then put together a budget. You will then focus on improving your finances, saving and overpaying debt. At the end of each stage in the book, readers complete an exercise to help them get fired up and inspired to start. These motivational techniques are invaluable for anyone who needs that push to get started. 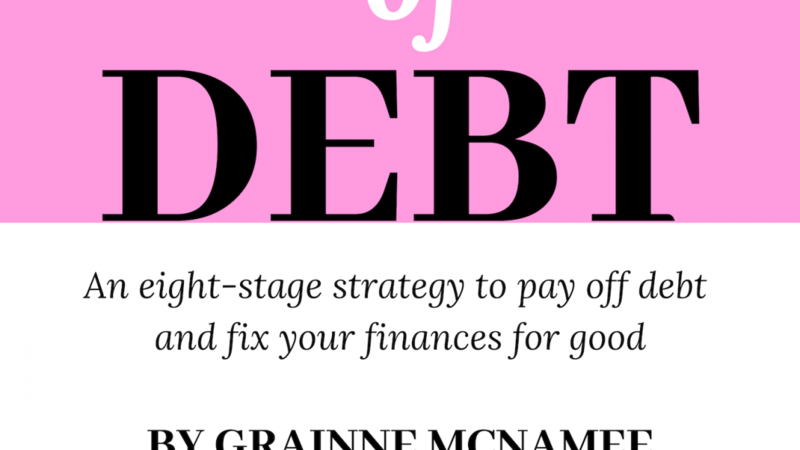 Does the strategy in How to Get Out of Debt work? This was the strategy I followed to pay off £16,000 in one year, so I can confirm it does work! This is how to get out of debt UK style. Now that I’m debt free, I interact with a lot of UK-based people who have started or want to start improving their finances. While everyone understands that paying off debt is a matter of making repayments, very few consider how important mindset is. Time and time again, I see people who tackle their debt with enthusiasm at the beginning, but quit soon after when they get burnt out. The reason many people fail to get out of debt is because they don’t consider the mental aspects of the journey. It’s requires getting into the right money mindset, taking steps to address negative patterns, and staying motivated. When you don’t consider these as a part of your plan, you are setting yourself up for failure. The strategy in this book works because it acknowledges how important mindset is. It is a tried, tested and winning method. And if you are UK based and finding that you can’t apply Dave Ramsey’s Baby Steps to your circumstances, this book is a great starting point. For those trying to get out of debt in the UK, this book is everything they need. Is the book worth the investment? Yes. In two years, my net worth has increased by £35,000. As a UK-based thirty-something working two days per week, that’s pretty decent. What’s changed in that time? I started investing in developing myself, increasing my financial knowledge and learning how to get ahead. In the past two years, I’ve read, I’ve taken courses, I’ve taken leaps of faith. To get the things you want, you need to take action. For example, during my payoff, I heard about matched betting but initially wrote it off. Then, I invested my time in learning the process. As a result, I invested money in starting. And I made £6,000 tax free profit in under a year from it. If I didn’t invest, I’d have been £6,000 down. The point is that, before paying off debt, I was someone who spent a lot of money on luxuries, and not enough on things I needed. This is very common; many of us will justify spending money on things we don’t need and then don’t buy what we need. In my case, this got me further into a financial hole, and into situations that limited my happiness and freedom. Once I started investing in things that would improve my life, it improved. If this can happen to me, it can happen to you too. This book is going to help you get out of debt, so it’s well worth the investment.